Martin Robison Delany has been called the "Father of Black Nationalism" because he aggressively promoted black pride and self-reliance. He was born May 6, 1812, in present-day West Virginia, where it was illegal for him to learn to read and write. Fearing prosecution, his family moved to Pennsylvania, where he could attend school. Many years later he would move his own family to Wilberforce, Ohio, so that his children could obtain a quality education. Throughout his adult life, Delany was an advocate for Americans of African descent. He founded and published a Black newspaper, The Mystery, in Pittsburgh and later co-edited The North Star with abolitionist Frederick Douglass. Wanting to provide care to the community, Delany was among the first African Americans admitted to Harvard University medical school. Prior to the Civil War, he criticized the government for permitting slavery and abolitionists who lacked commitment to Black equality and justice. Concerned that slavery in America would never end, Delany traveled to Africa to secure a homeland for Black Americans. With the outbreak of the Civil War, Delany had renewed hope that all African Americans would be free. He recruited Black troops for the Union Army and met with President Abraham Lincoln to discuss a strategy for ending the war. Lincoln appointed Delany a major, making him the highest-ranking field-grade officer in the U.S. Colored Troops. Following the war, Delany served in the Freedman’s Bureau to protect the rights of former slaves. Delany was an abolitionist, a physician, a leader in Prince Hall Freemasonry, an inventor, a judge and a prolific writer. In everything he did, Delany was a practical man, determined to achieve freedom and justice for African Americans. 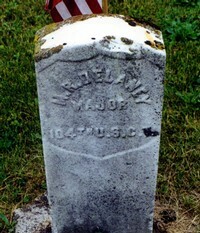 He died January 24, 1885, in Wilberforce, and is buried at Massies Creek Cemetery, just two miles from his family home. His final resting-place is marked with a small government-issued tombstone–with his name misspelled. A fund has been established to secure a fitting memorial for this remarkable man, not only to honor him, but to educate and inspire visitors to the cemetery who may not know that this giant of American history is buried there. 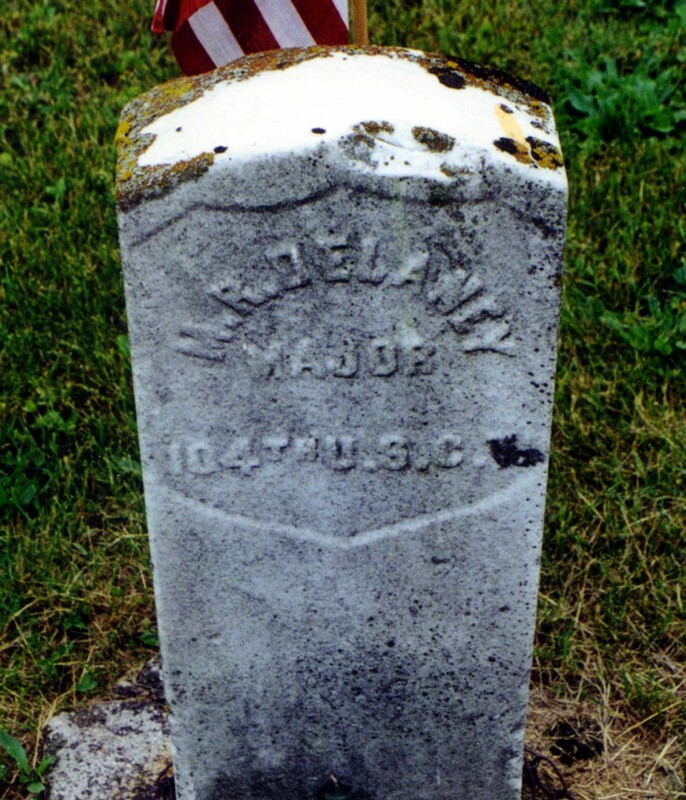 The Delany family plot is the resting place of Martin Delany, his wife Catherine, and three of their children, who have no markers. The original marker will be preserved in place because of its great historic significance. The new monument will be made of Black African granite to reflect Delany’s pride in his ancestral homeland, and it will feature an engraving of Delany as a Major in the Civil War. Bronze plaques will provide a summary of his life in addition to the names of the family members buried there.